Crystalline and nodular growths typical of the Zincite samples from Franklin. 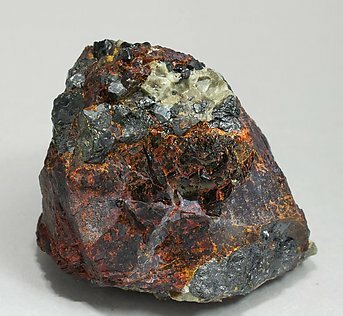 They have a very deep red color, are bright and are with octahedral crystals of Franklinite and with Willemite. The sample is with a label from Siber+Siber with handwritten notes of Folch that we’ll send to the buyer. Bright nodular growths typical of Zincite from Franklin. 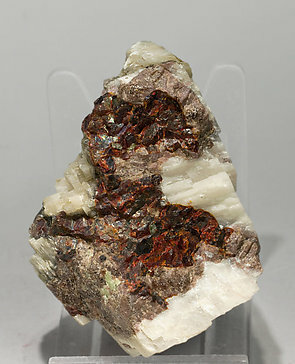 Very intense red color, with pinkish Tephroite on a white Calcite matrix.